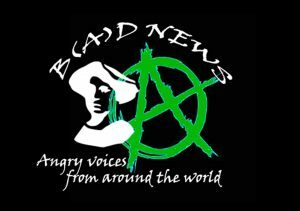 This is episode number 10 of “B(A)D NEWS – Angry voices from around the world”, a news program from the international network of anarchist and anti-authoritarian radios, consisting of short news segments from different parts of the world. 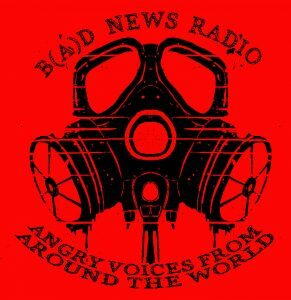 This is episode number 9 of “B(A)D NEWS – Angry voices from around the world”, a news program from the international network of anarchist and anti-authoritarian radios, consisting of short news segments from different parts of the world. 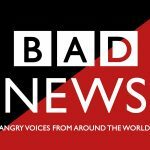 The Final Straw airs the latest segment of the #DropJ20 podcast, updating listeners to the latest details in the first segment of the trials of 194 anti-fascist and anti-capitalist protestors facing up to 60 years in U.S. prisons for anti-Trump-Inauguration demonstrations on January 20th, 2017. The script can be found in this text. 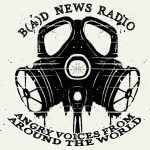 If you’d like to find out more about the projects involved in the A-Radio Network, learn more about our work or hear past episodes of B(A)DNews: Angry Voices from Around the world, check out our new website, A-Radio-Network.Org . This is episode number 6 of “B(A)D NEWS – Angry voices from around the world”, a news program from the international network of anarchist and antiauthoritarian radios, consisting of short news segments from different parts of the world. the case of panagiotis z.
update DSEI arms fair week of action. a portion of a debate on whether the russian revolution should be celerated. * The Final Straw Radio spoke with an activist from the South of the U.S. about autonomous Hurricane relief. 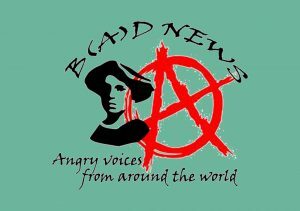 This is the third episode of “B(A)D NEWS – Angry voices from around the world”, a news program from the international network of anarchist and antiauthoritarian radios, consisting of short news segments from different parts of the world. 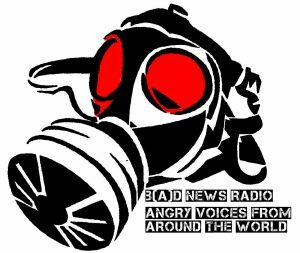 This is the second installment of the International Anarchist Radio Network’s monthly show, featuring resistance news from around the world in the voices of the member-projects of the A-Radio Network. The Final Straw on the August 19th Prisoner solidarity activities against slavery in the U.S. & information on the suppression of 214 inauguration protesters arrested in D.C. on January 20th, 2017 & the week of solidarity with J20 arrestees from July 20-27th. Rosas Negras : Social activism for the defense of Trans-gendered people in El Salvador. as well as from Radiozones Of Subversive Expressions, 98FM in Athens speaks about the recent threats of attack by the Telecommunications authority for the possibly benefit of a private, pirate radio station!